Hi, I’m Nicole from Our Cozy Nest and I’m excited to do a little guest post here today. 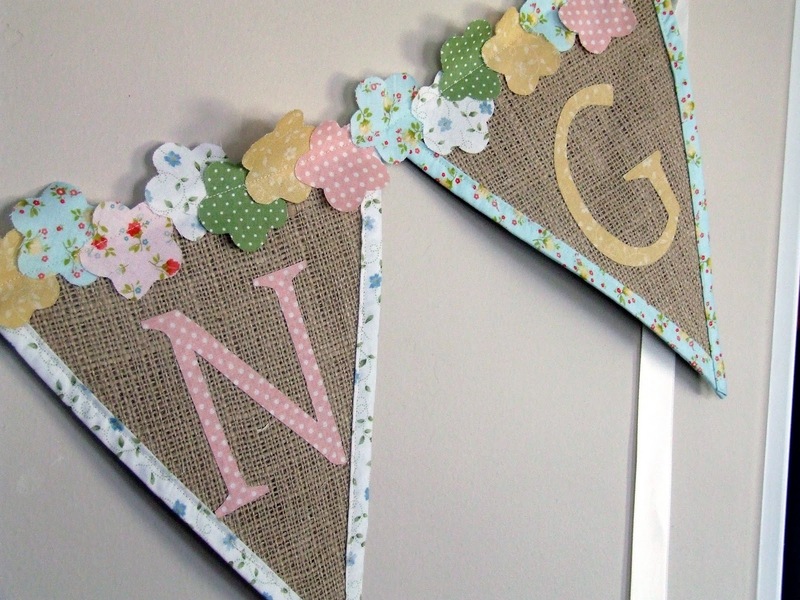 I decided to do a Spring Pennant Garland Tutorial. I was hoping that maybe if I hung this outside, mother nature would get the hint and stop sending snow here to Utah. Pottery Barn. 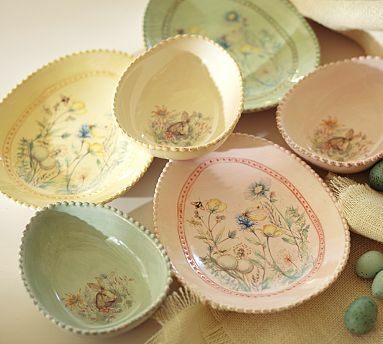 I just love the colors, and the burlap table runner underneath the dishes. – 3/4 yard of burlap (you can get this at any crafty store with fabric by the yard). – sewing maching (don’t get scared, were only doing straight stitches here). – 4 yards of 1 inch wide cream or white ribbon. 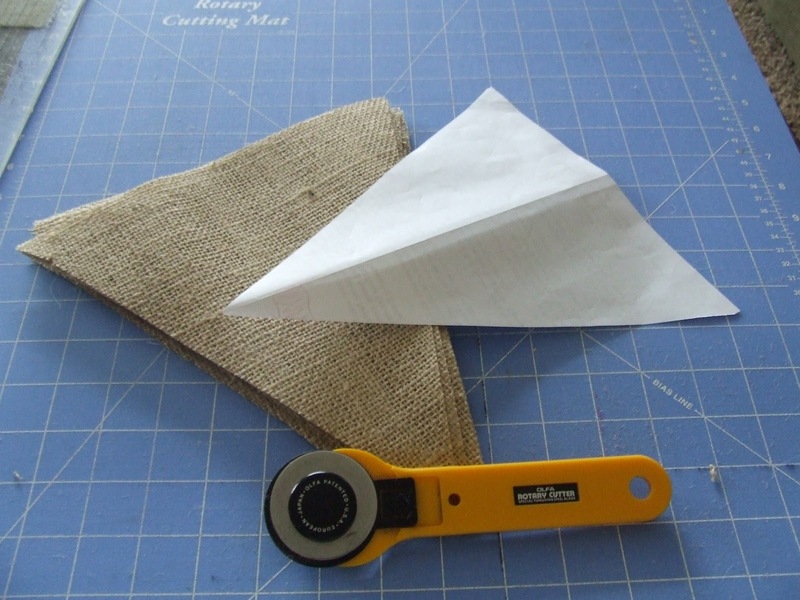 You need to cut you burlap into pennant triangles. The easiest way to do this if you don’t have a self healing mat and cutter is take a normal sheet of paper and fold in half lengthwise. Cut off the bottom 1 3/4 inches. Take a pencil and draw a line from the top outside edge of the paper to the bottom fold. Not cut along the line and unfold. Now you have your template. Use it to cut out 12 triangles. 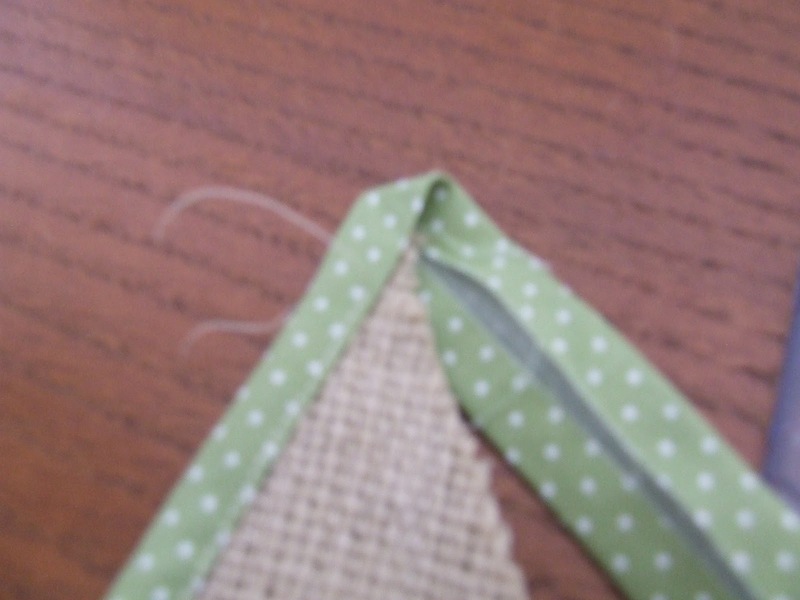 Sew two triangles together along the outside edges using about 1/4 inch seam allowance. Now you should have 6 double think triangles. Now you are going to make the bias tape. If you’ve never done this, don’t freak out, it’s super easy. 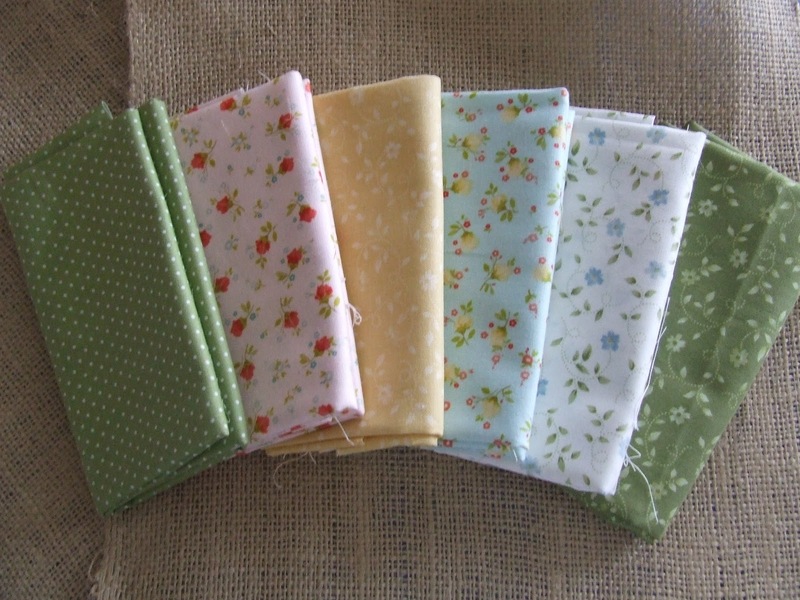 From each of your 6 pieces of fabric cut a strip of fabric that is 1 3/4 inches by 22 inches. Iron the strip of fabric in half lengthwise and unfold. Now iron the two outside edges into the middle. 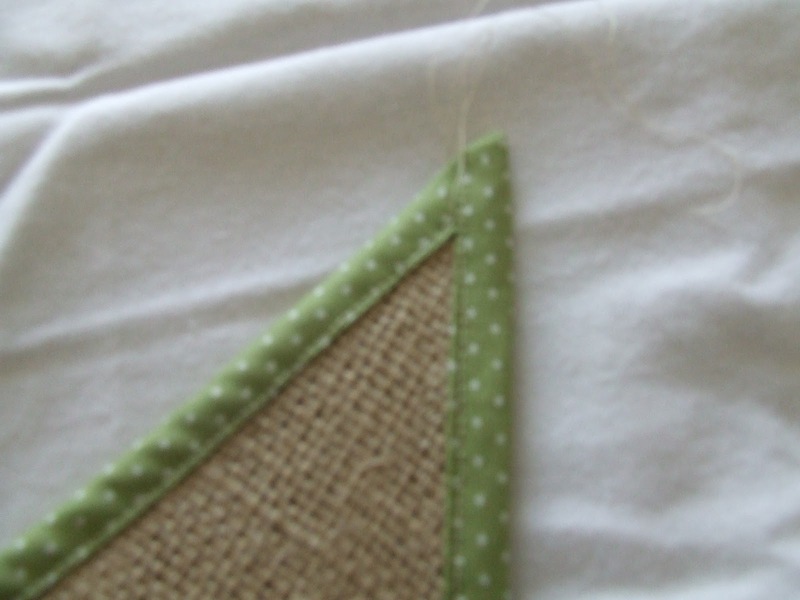 Now your just going to sew your bias tape onto the two long edges of your triangle or pennant. Starting at the top right corner start folding the fabric along the edges of your pennant and sew into place using 1/4 to 3/8 inch seam allowance. 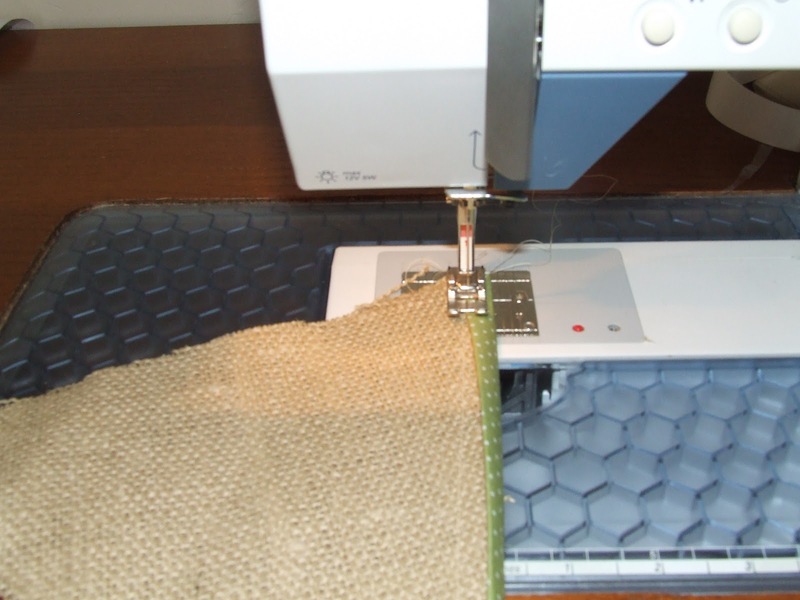 Keep sewing until your get to about the bottom 1/4 inch. This picture is cruddy but hopefully it will help you get the idea of what to do since it’s hard to explain. Fold the bias tape back down at the point of the pennant. 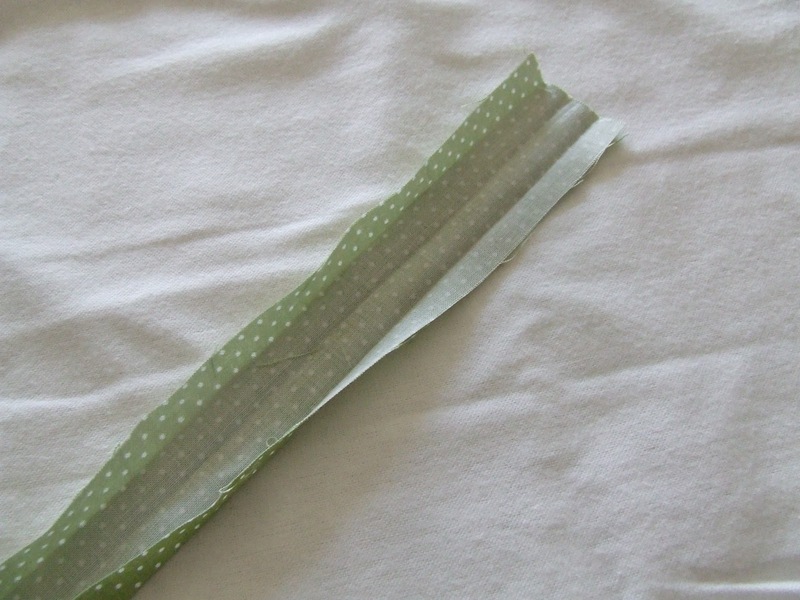 Open the bias tape and fold over the sides to make a nice corner. This is sorta trial and error. Just work with it until you like how it looks, and really it doesn’t need to look perfect. Now for the fun part. Here are your letters. 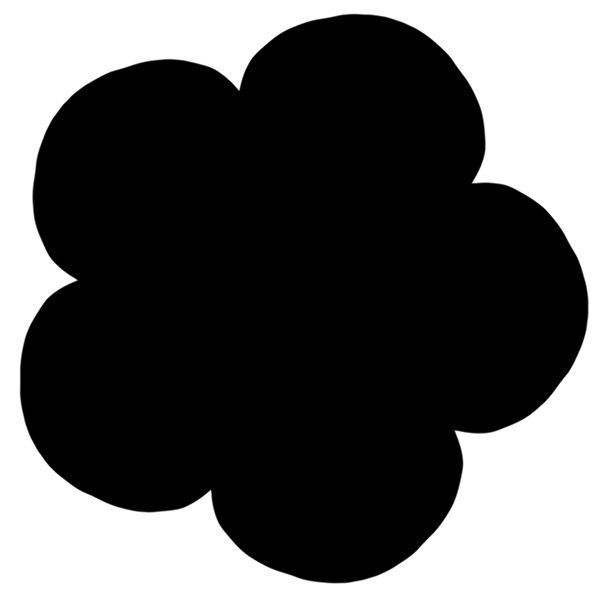 You should be able to click on the image below and print it out onto some heavy duty paper. 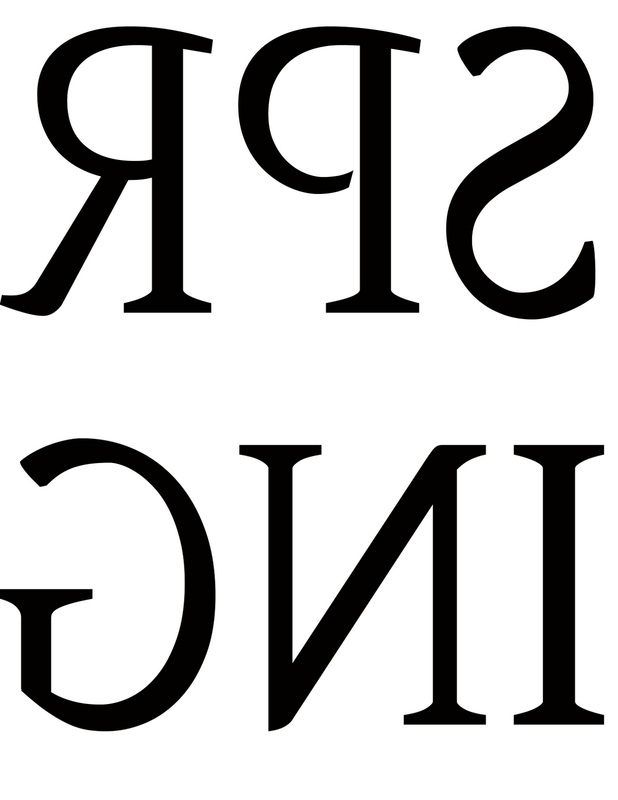 You can either cut these letters out and use them as templates or do what I did and just trace them. 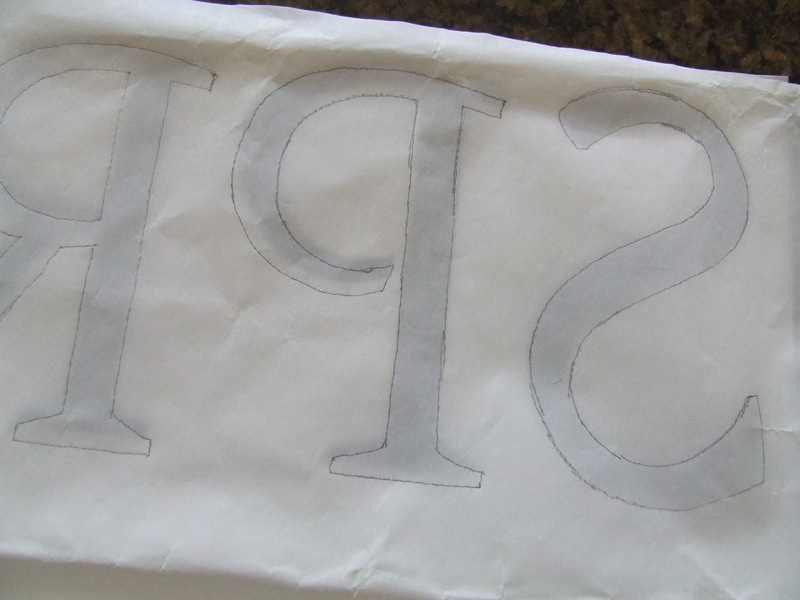 Place your Heat and Bond (adhesive side down) onto the letters and start tracing. 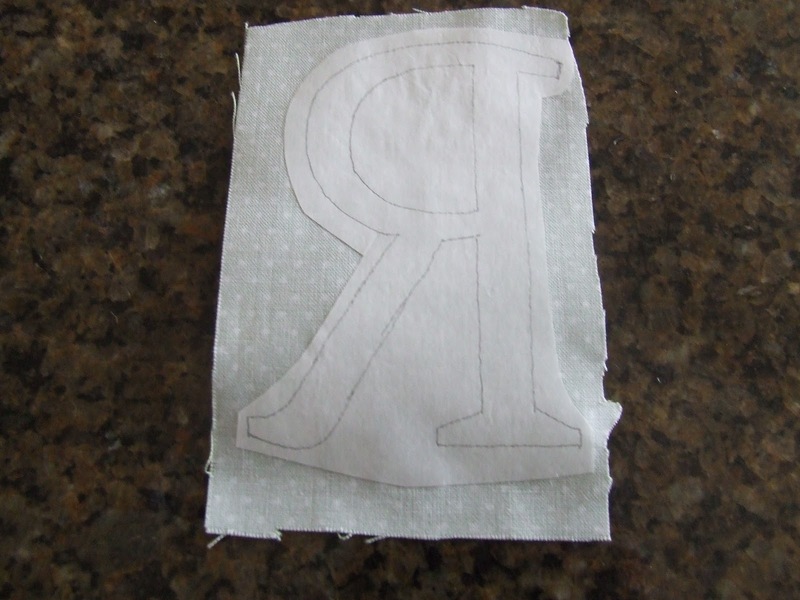 Cut around your traced letters and iron them onto the wrong side of your pieces of fabric. Cut the letter out and peel off the paper backing. Now iron onto your pennant. Iron your ribbon in half lengthwise and staring about 1 yard in, fold the ribbon around the top edge of your pennant and sew on. 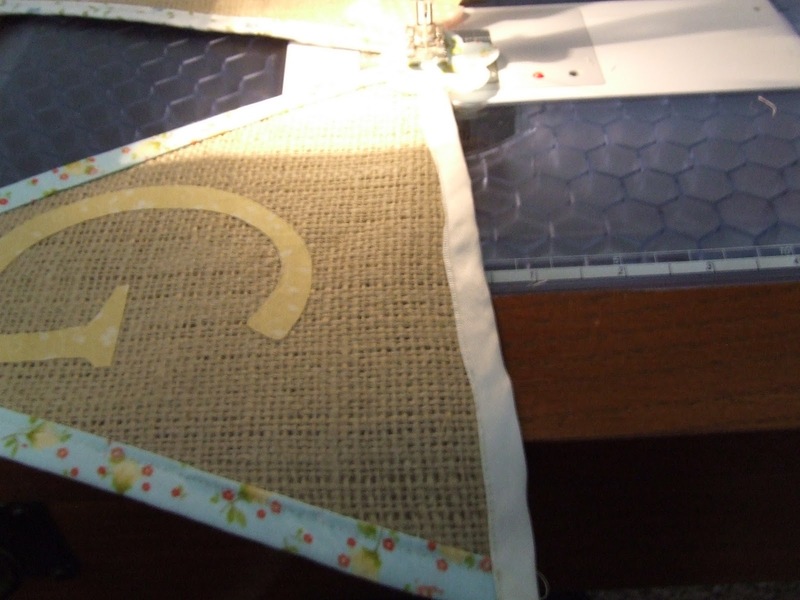 As you reach the end of one pennant just add the next one until the ribbon is sewn onto all of them. Now your going to make the little flowers that go along the top. Using this flower as your template your are going to need to cut about 8 flowers from each piece of fabric. This flower may be a little big. You might need to shrink if down a little bit. It should be about 1 3/4 inches square. 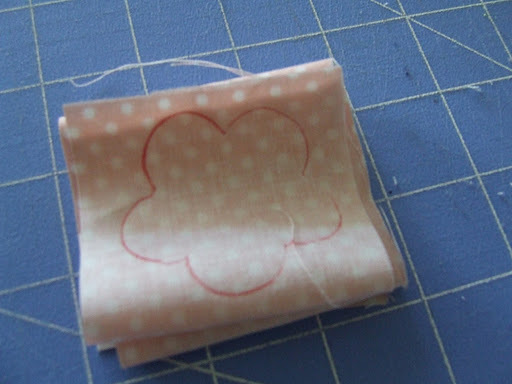 The easiest way to do this is to layer 4-5 pieces of fabric, trace the flower on top and cut them all out at once. Now the fun part. Start placing them on the top edge over the ribbon and sewing them down. I found it looked a lot better if I didn’t put them in a straight line but staggered them a little. Just sew straight down the middle of the ribbon. 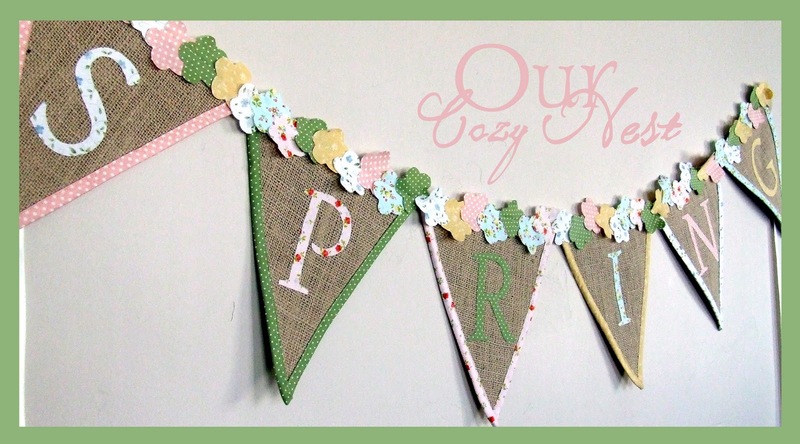 Once your done you should end up with one super cute Spring Pennant Garland. 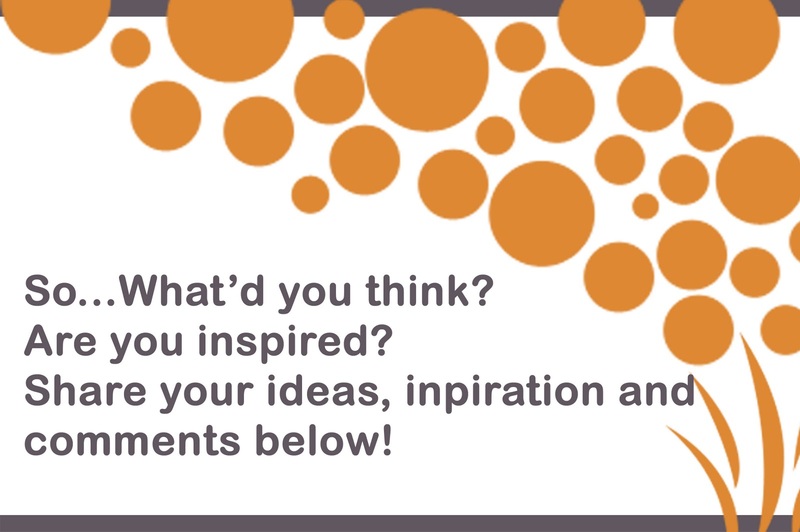 If you decide to make one you’ll have to post pictures on your blog and let me know so I can come and see it. Hope this makes things around your home feel a little more like Spring. So very pretty. I appreciate the tutorial. Way to go Nicole! 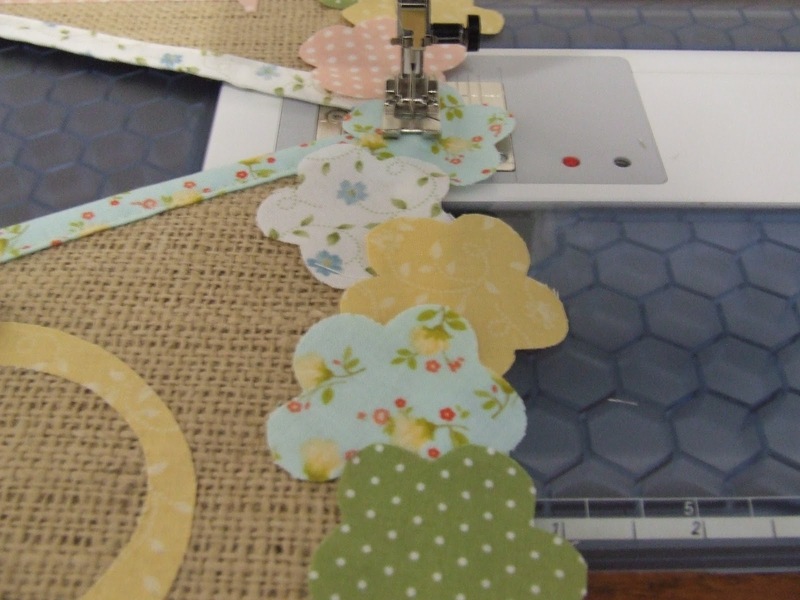 As always you never cease to amaze me with your darling crafts and wonderful tutorials! I want one of these! Unfortunately I don't think I will get to it while my son is recovering from a routine surgery. Happy Spring!